The origin of the crab louis was briefly outlined here last year. Among the sources cited there were the second (1914) and third (1932) editions of The Neighborhood Cook Book, compiled by the Portland Council of Jewish Women. Notably absent was a reference to the first edition of 1912–because I didn’t have a copy of it. Now, thanks to a lucky find at a shop in Baker City, I have one. Three tablespoons oil, one of vinegar, one-half [tablespoon] of catsup, two teaspoons Worcestershire sauce, paprika, salt, little English mustard, two hard boiled eggs, one shredded crab and shredded lettuce; mix together. Serve on lettuce leaves. This recipe pre-dates that published (1914) in Bohemian San Francisco by Clarence E. Edwords and attributed to Solari’s restaurant, and is the earliest published crab louis recipe I have found so far, under that name. 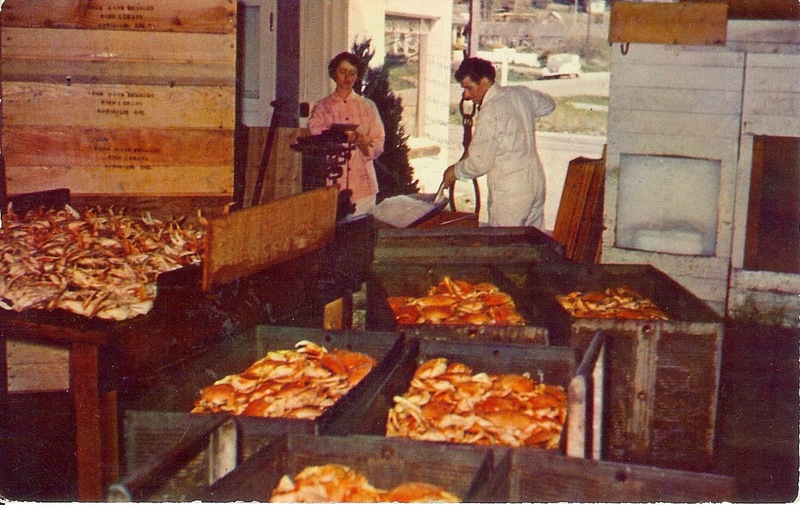 Take out the meat of a large cooked crab in as large pieces as possible–put in cocktail glasses and, just before serving, pour over it the following sauce: One cup cream, half cup tomato catsup, one tablespoon Worcestershire sauce, salt and paprika. Let stand on ice for at least two hours. This will serve six people. So perhaps we have to point back once more to San Francisco… . A Crab a la Louise recipe is on p. 297 of Victor Hirtzler's 1910 "L'art Culinaire: Hotel St. Francis Book of Recipes and Model Menus", online at Google Books.